Used set of three (missing 20p for complete set), as per scan. (Sheetlet with 2 values (2v M/S): SR3 x 2. 3) Select each item and 'Add to Basket'. (Sheetlet with 2 values Imperforate Sheetlet with 1 value (2v M/S 1v IMPF M/S): 3SR x 2, 5SR. 3) Select each item and 'Add to Basket'. (Sheetlet with 2 values (2v M/S): 2SR x 2. 3) Select each item and 'Add to Basket'. Scott: L142 variety. Stanley Gibbons: 172a. I know there exist many forgeries from Hejaz/Nejd. black overprint inverted. "Reference Manual of Saudi Arabian Forgeries by R.J.Thoden". Condition: no gum, ungebraucht ohne Gummierung. 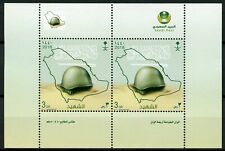 Set of 5 Jeddah Saudi Arabia Postcards. 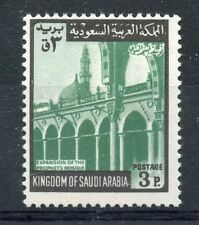 Neues AngebotEDW1949SELL : SAUDI ARABIA 2 Scarce Air Mail covers to USA. SAUDI ARABIA. Doing that is against U.S. and international laws. Country: Saudi Arabia. Remarks: Vario sheet is not included. Singles, pairs 2 blocks. All are pristine except on x 8p marginal has perf separation light crease. Comprises SG439(4) 564(8) 599(2). Cat£1112 in SG 2009 sectional. Lots are sent out within approx. 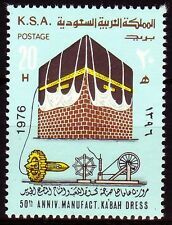 SAUDI ARABIA; 1924 early Mecca local issue Mint hinged 10pi. value, Shade, . Dies ist kein Muster, Sie erhalten den abgebildeten Brief/Marke. on Passport page 20 & 40 Riyals. This is no sample, you get exactly what you see. HEJAZ L1 NO FAULTS VERY FINE ! PO Box 8795. Never a reserve. Over 110 pages in Arabic and English. Includes dark blue Leuchturm album with slipcase if desired. All pages untouched as originally printed. Besides this being a very pretty album, it is quite helpful as a catalog reference as well. 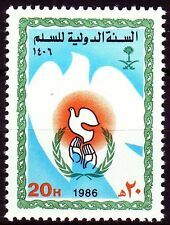 SAUDI ARABIA MNH 1989 SG1582-83 "Freedom of Palestine"
& h.s. inverted, very fresh, F-VF. SAUDI ARABIA. 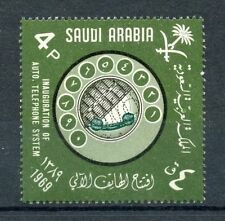 1963/64 Saudi Arabia, Definitives “Wadi Hanifa Dam”. Condition: fine used. This is no sample, you get exactly what you see. Dies ist kein Muster, Sie erhalten den abgebildeten Brief/Marke. Scott: 259-263 wmk 273. (Sq7456 ) Mi. Dies ist kein Muster, Sie erhalten exakt die abgebildeten Marken! Erhaltung: ungebraucht mit Falz(-resten), mint lightly hinged MLH. SERIE DI ADEN KATHIRI STATE OF SEIYUN SOPRASTAMPATA IN ROSSO. SOUTH ARABIA ANNO 1967. 6 VALORI NUOVI GOMMA INTEGRA - MNH. SPEDIAMO SOLO TRAMITE RACCOMANDATA, ASSICURATA, CORRIERE ESPRESSO. SAUDI ARABIA 1980's. VARIOUS FRANKINGS & TOWNS. 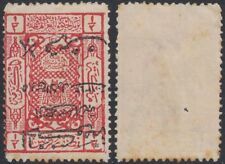 Saudi Arabien MiNr. Land: Saudi Arabien. Fehlen Ihnen noch Binder von Leuchtturm, Kabe, Lindner oder Safe???. HEJAZ L2 NO FAULTS VERY FINE !